It's Proven. 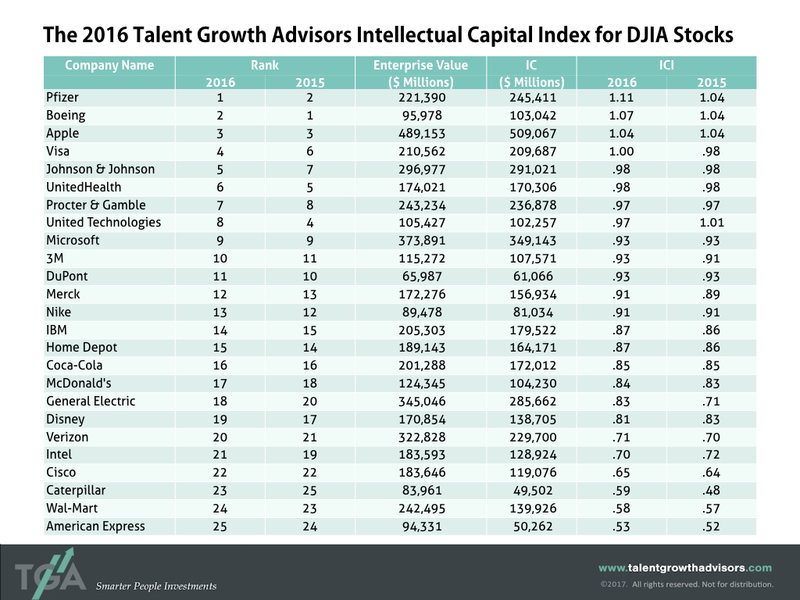 Talent Drives DJIA Market Value. Intellectual Capital is the dollar-figure contributions talent makes to the market value of companies. It measures the market value of a company above and beyond tangible assets, including internally developed brands, patents, technologies and other intangible assets not recorded on the company’s books as well a those on the books acquired through purchase. Every year we analyze the results of the companies in the Dow Jones Industrial Average (DJIA) to measure this Intellectual Capital Index (ICI). In 2016, the majority of the enterprise value – on average over 88 percent – was driven by the company’s people instead of its tangible assets. 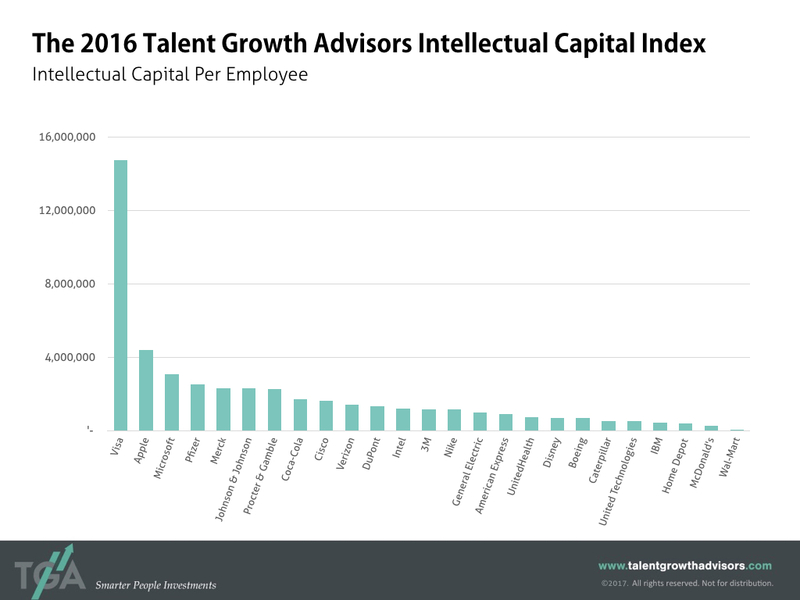 The analysis also reveals that the overall value of talent-driven intellectual capital across DJIA companies now totals more than $4.3 trillion – a growth of more than $300 billion over 2015. 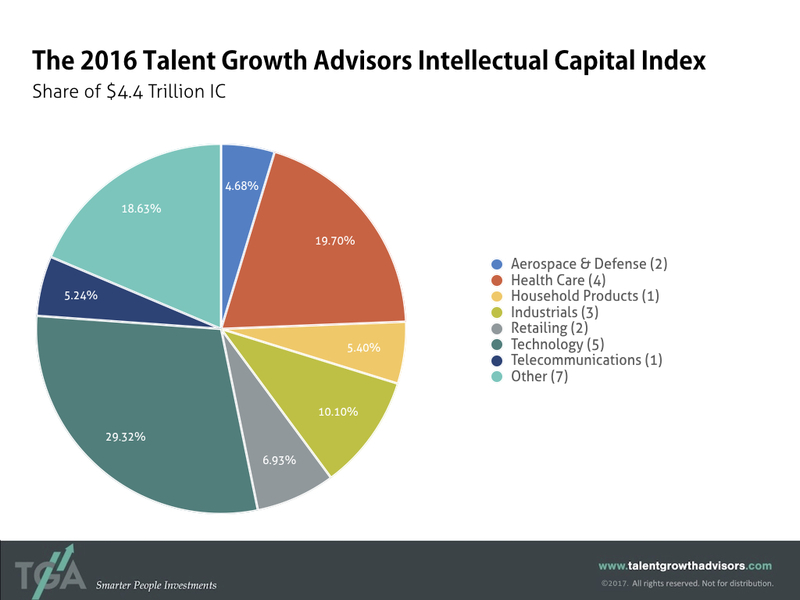 The top five ranking “intellectual capital” companies in 2016 – those driving the most financial value from their talent – in the DJIA are Pfizer, Boeing, Apple, Visa and Johnson & Johnson. See all results below. 88% of the average company’s value is a direct result of the only active source of intellectual capital – its people. Learn more about what this could mean for your business.